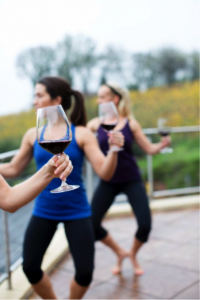 Does Napa Valley Cabernet Pair With Fitness? The Clif Family Winery (of ClifBar fame) plans cycling trips throughout Napa. Its White Road package, which costs $110, includes a custom-fitted road bike, a pre-ride ClifBar and a post-ride wine tasting at their cycling-themed St. Helena tasting room. Napa Valley Wine Tours has the perfect bike for every cyclist; be it road, hybrid, electric or even tandem. Take a map and ride alone or sign up for a tour. Rentals start at $45 per day. Meadowood Napa Valley offers some of the best health and fitness retreats around. Fitness at Meadowood transcends the walls of the spa and fitness center to include the vast acreage of this beautiful estate, which includes hiking trails, croquet and tennis courts, and a 9-hole golf course. This is where many of the valley’s most renowned winemakers workout. ‘ Meadowood’s Healthiest Year Yet package’ includes a fitness assessment and personal training session as well as unlimited classes for $1,800 for two nights. The experience is an adaptation of the innately restorative Meadowood experience, the very same one that has been luring and satisfying resort guests for more than three decades. Meadowood’s three-Michelin-star restaurant ran by chef Christopher Kostow is a must for wine tasting after your workout. At Solage Calistoga, the hotel’s certified personal trainers can customize one-on-one sessions in the state-of-the-art gym. The fitness center can also arrange private bike and hike adventures as well as pool workouts with certified swimming instructors. Prices start at $100. Vineyard 29’s Pilates and barre program offers fitness-loving wine connoisseurs a refreshing spin on the typical Napa Valley wine tasting. Rather than miss a beautiful morning in wine country by spending it deep in a winery cave, visitors can take full advantage of Vineyard 29’s spectacular veranda views while taking an energizing outdoor Pilates or barre class, followed by a vineyard walk, tasting and a wine-paired lunchFor a group class, the price is $2,900. For $125 per person, you can make your friends jealous with an Instagram-worthy photo of your alfresco yoga class on the veranda of Napa’s iconic Domaine Carneros château. If you are looking to pair Napa Valley cabernet with fitness, check out this information regarding “Trails, Parks and Biking” in Legendary Napa Valley. If you love to eat, drink and bike, check out the annual Bottega Gran Fondo that Jen Murphy talks about in her article. It’s a destination cycling event where world-class culinary leaders share the stage with world-class cyclists and celebrities. It’s a charity bike ride that Napa chef Michael Chiarello has organized to raise money for the construction of the Vine Trail, which is a 37 mile trail that spans from Vallejo to Calistoga. Nearly 300 people participate. Each cyclist is assigned to a team helmed by chefs such as Daniel Humm of New York’s Eleven Madison Park, local winemakers like Joel Gott and Doug Shafer, and former pro cyclists such as Dave Zabriskie and Levi Leipheimer. Participants can choose a 60-kilometer or 120-kilometer course—both in some of Napa’s most spectacular scenery. But according to Jen, this isn’t some leisurely ride; the hills here are brutally steep. I’M signing up for 2016! 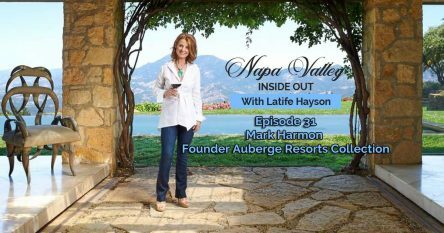 If you are looking to move to Napa Valley, I have all the information available on recent public and private sales in this area. Feel free to contact me at 707-738-4820 or email [email protected]. 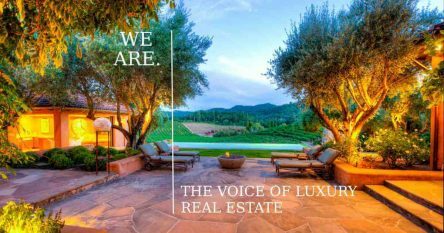 As a top producing Realtor® in Napa Valley, I have access to some extraordinary wineries, vineyards, estates and homes in Napa, Yountville, Saint Helena and Calistoga that are not on the open market. The inventory is extraordinary right now and each and every property has spectacular views. I look forward to helping you buy or sell your property in this beautiful part of the world.